While a significant portion of auto body repair shops, automotive garages and auto parts stores in the country are independently owned and run by self-employed mechanics and technicians, there are also a significant number of nationwide auto repair chains that service all makes and models of vehicles. Additionally, many people prefer to have their car serviced at the dealership where they originally purchased the vehicle. Each type of repair service center has its own unique advantages. 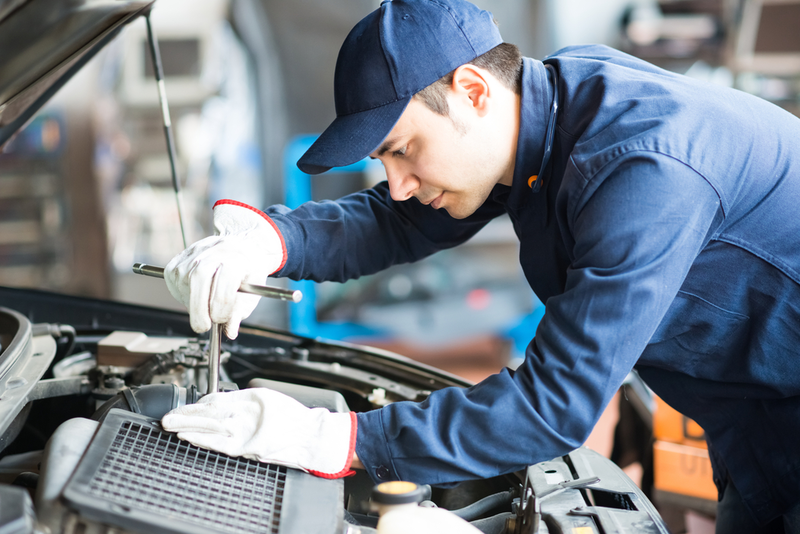 While parts and labor may be significantly higher at a car dealership’s service center, you can count on expert-quality diagnosis, repairs, honesty and customer service at a car dealership. If your car is new or leased, you may be required to take your car for routine maintenance and repairs at the dealership. Some car owners prefer paying the extra hourly rates to have their car serviced by the dealership they purchased the car from; they can count on receiving excellent service since the dealership wants to retain their business for the possibility of future sales. Automotive franchises are another option when it comes to having work done on your vehicle. Most automotive franchises have a nationwide presence. If you travel a lot for business or pleasure and need car maintenance while on the road, you can pop into a favorite automotive franchise and expect consistent service and costs. Local, independently-owned garages are a favorite among people living in small towns and communities across the country. Small repair shops offer transparency, excellent hourly rates and a personalized customer experience. Many small garages have been passed on from generation to generation, and many of the customers have given their business to these small shops for many decades. While no car owner looks forward to the costs associated with vehicle repairs and maintenance, affordable rates and dependable service always help to soften the blow. Once you find a car dealership service center, automotive franchise or independently-owned garage that services your car’s needs while offering you honest, fast and dependable service, you will likely be a faithful and lifelong customer.